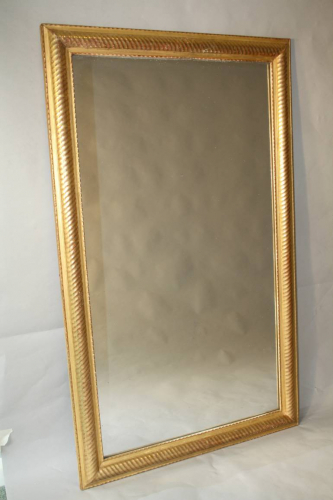 A superb water gilded, ripple framed and rope twist mercury glass C19th French mirror. Can be hung portrait or landscape. Lovely condition.